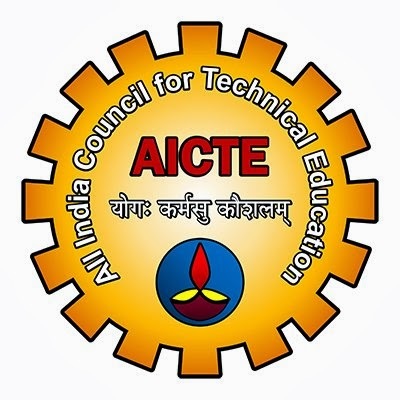 As everyone of us know that to run technical courses in India, AICTE approval is mandatory. If any institution or university fail to get the approval from AICTE, can not run any technical course. The same applies on distance education. To run distance education courses, DEC approval is required but to run technical courses DEC+AICTE approval is required. Many students ask me this question day in and day out so today i write a post to all of you about AICTE approved universities offer technical courses through distance education. The list we're going to provide here has been taken from AICTE official website. Here is the list of all 9 distance education universities offer technical courses approved by AICTE. Prof.G.Ram Reddy Centre for Distance Education ,Osmania University offer a three years MCA course through distance learning mode which is approved from AICTE. If you're the one who wish to take admission into MCA course in Osmania University you must qualify ICET and pass the qualifying examination with Mathematics, as one of the subject in the degree course. Others are also eligible for admission if they have pass qualifying exam without mathematics and has pass 10+2 with mathematics. Guru Jambheswar University of Science & Technology runs two AICTE approved distance education courses i.e 3 year MCA Program & 5 Years integrated MCA course after 10+2. For 3 years MCA course a bachelor degree from a recognized university is required for admission. Students who completed M.S.c. ( Computer Sc.) / M.Sc. (Software) / M.S.c. (IT) / MIT can take admission through 1 year lateral entry scheme. For 5 years integrated MCA program, a student must have qualified 10+2 or equivalents examination from Board of School Education , Haryana /CBSE or any other Board recognized by Board of School Education Haryana/CBSE or 3 years of Diploma from Board of Technical Education ,Haryana or its equvalent from recognized Board. GITAM Centre for Distance Learning ,GITAM University offer a 3 years distance education MCA program approved by AICTE. Students who has a bachelor degree has a bachelor degree from a recognized university and mathematics as one of the subject in intermediate can take admission in this program. dmissions to the programme shall be made on the basis of the rank obtained , subject to the fulfillment of eligibility criteria. For detailed admission criteria kindly visit GITAM university official website. Padmashree Dr.D.Y.Patil University offer a 3 year AICTE approved MCA course. Any graduate from a recognized university can apply for admission into 3 years MCA program offered by Padmashree Dr.D.Y.Patil University .However , the students who have not pursued Mathematics as a distinct subject at 10+2 are required to pursue and pass the CS-60 course concurrently. Karpagam University is also approved by AICTE to offer 3 years MCA course. The eligibility criteria for admission into Karpagam University is similar to Padmashree Dr.D.Y.Patil University. A student is required to have a bachelor degree with mathematics as a distinct subject at 10+2. Students who didn't have mathematics as a distinct subject at 10+2 required to pursue and pass the CS-60 course concurrently. St.Peter's University is a university from Chennai,Tamilnadu. The university also has a 3 year distance education MCA program approved from AICTE. A relevant degree is the only requirement to take admission into distance education MCA at St.Peter's University. Allahabad Agricultural Institute-Deemed University is a university located in Uttar Pradesh. The university offer an AICTE approved 3 years MCA course. The course has been divided into 6 semester. Students who has a graduation degree in any discipline can apply for admission into AAIDU technical courses. Jaipur National University is another university located in Rajasthan offer AICTE approved technical courses. 3 year MCA program offered by Jaipur National University is approved from AICTE. Any graduate from a recognized university can apply for admission into Jaipur National University distance education MCA course .However , the students who have not pursued Mathematics as a distinct subject at 10+2 are required to pursue and pass the CS-60 course concurrently. Subharti College of Distance Education is a part of Swami Vivekanand Subharti University. The university is located in Meerut city of Uttar Pradesh. The university offer an AICTE approved 3 year MCA course. Any student who has a graduation level degree with mathematics at graduation level can apply for admission.